Front slider is perfect for your home page (landing page). This page give your visitor quick notice about who you are, what you do, and also you should put your best portfolio on home page to catch your visitor attention. Then you will need to enter title of Front slider that will show on Home info box. 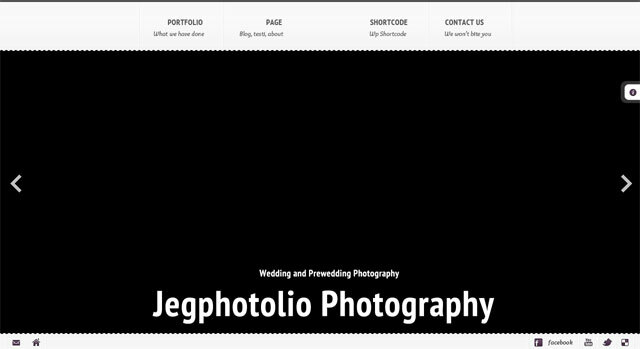 Go to bottom of of page, you will find JPhotolio Front Slider Media Metabox. Here you can decide what type of front slider you will show. For now, we only support 3 type of media for front slider. You will only show what information you need to enter when you choose media type. After you’ve done click Publish to save your Front Slider. 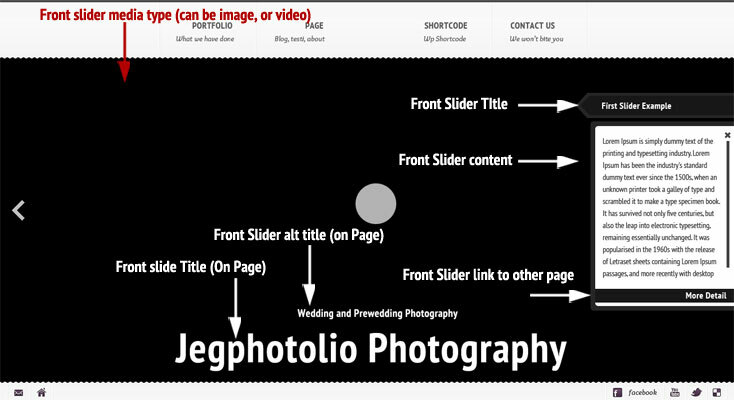 JPhotolio Page Setting When you change Template, JPhotolio Page Setting tab will also change to Front Slider tab section, and other tab will be disabled. You don’t need to add content page because will not shown. Don’t forget to hit Publish / Update button. On Front Page Display option choose a Static Page and change Front Page to your Front Slider page.